Oops minor fall off the band wagon over the last few weeks on the blog front. Not to worry I am back again with, at least for this post, an idea of what I want to write about. Below is my January 2015 reading and watching-ness. So 2015 appears to have started off with a bang in the reading zone – 8 books and 3 graphic novels/comics. My first finished book for 2015. I really enjoyed this memoir of DrJudy Melinek’s time training as a medical examiner in New York. It’s written in a conversational and engaging style and is a good mix of anecdotes of the authors experiences and anatomical/autopsy details (which I found more fascinating than icky). I found the treatment of the more sensitive aspects of the role of medical examiners handled in an honest but sensitive manner (though I’d recognize a possible trigger warning beyond the expected content of this book relating to discussion of suicide). Starting 2015 by shifting a nearly finished book into the complete pile. I find anthologies from multiple authors really difficult to review as there is always such a varied type of submission and in general I don’t think this is a genre type that I enjoy much. There were a few thought provoking and quite interesting short stories in this anthology but I also found a few that were really not to my taste and seemed to drag on which meant I found myself putting the book down for long periods of time between picking it up again. This is probably pretty useless as a review as this is often the case with most anthologies but it’s my overall thoughts on the entire thing – and I can’t even really drum up the stories that I enjoyed to talk about them here because it has been such a long time between reading them. 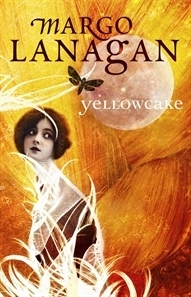 I do have to say this book has one of the most beautiful covers I have seen in a long time. I haven’t really read many comics in the past and had been wanting to check out the new Ms Marvel since I first heard it mentioned. it was a really fast paced read for me but I think I will go back and reread it again at some point to look more closely at the art as I got swept away with wanting to see what happens next. As I don’t have much history with the Ms Marvel character I don’t know how this new Ms Marvel fits in with the past incarnations but I found Kamala really engaging and found her learning to use her powers convincing in the frame of the world she lives in and her own interests. I also found the peripheral characters – Kamala’s family and friends – added to the depth of the story. Totally shipping Bruno and Kamala. I first read this novel in the middle of high school as a random selection from the shelves of the school library and the experience of reading it has stayed with me ever since. For some unknown reason I added it to my December audible subscription and immediately fell back in love with this coming of age story and its engaging heroine, Cassandra. I am pretty sure this is the novel which made me fall madly in love with the domestic novel and also the modern classics. Also highly recommend the audible narrator, Jenny Agutter, she captures the voice of Cassandra and her family perfectly. It took me a long time to stop misreading this title as The Woman in Black. I think its because my tbr also contains Wilkie CollinsThe Woman in White (Distressingly neither of my versions of these books has an appropriately coloured cover in relation to their title). The missing plural in my understanding of the title meant that the introduction of a swathe of woman in black in the early chapters of the book left me a little bewildered but I quickly became so immersed in this quirky little tale that this disconnect didn’t matter. There is alot packed into this novel given its slim size as we establish a connection with each of the characters, St. John uses a smooth sparse writing style with short chapters to create characters whose past, present and future emerge from the pages of this book. And these characters, the women in black, are individual and independent, living their lives, at least by the end of the book, for themselves and by their own choices. Sadly St John only wrote four novels and this is her only novel set in Australia as I would have loved to read the ongoing stories of these women especially Lisa/Lesley and Fay. And I also loved the setting as even though I grew up several decades later and in Melbourne there was still a sense of cultural deja vu (except for the Melbourne bashing, though they did get one thing right we do have the best cake). Though it seems fairly thorough in its charting of the tumultuous relationship between Zelda and F. Scott Fitzgerald I found the amount of detail in this graphic novel a little overwhelming (as they did manage to pack a great deal into their lives). Perhaps it would have been better to have been two volumes as the last few chapters dealing with Zelda’s declining mental health and including excerpts from the letters between Zelda and Scott were absorbing and sad and beautiful all together. 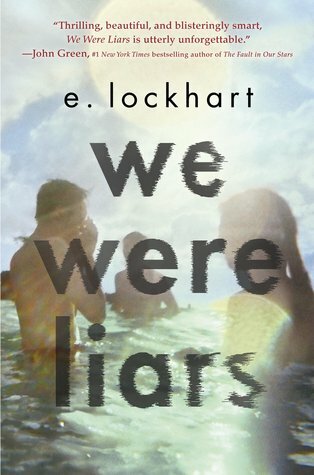 This was my first Bookriot Read Harder Challenge that I completed. ‘I wandered into this series quite accidentally, I think I heard about it on Goodreads or Audible and wanted something relatively light and easy-to-follow that was still interesting for listening to while entering data or cleaning the house. All of these qualities are delivered on in the Her Royal Spyness Mysteries. 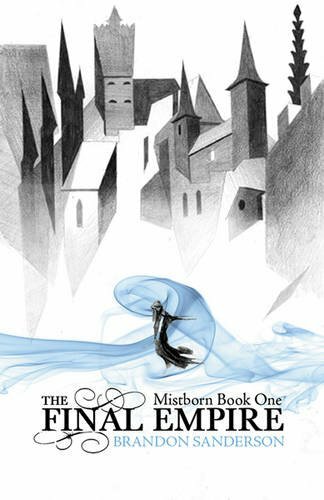 It also hits another requirement of series for me – that each new book in the series is better than the last. 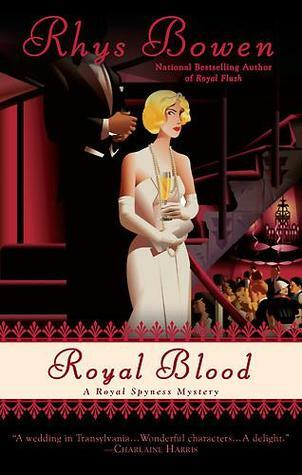 Royal Blood follows Lady Georgiana into the wintery wilds of Transylvania representing the British Royal Family at a European Royal Wedding. Of course there is a murder, and of course, through some probable, and improbable, means a large proportion of the regular cast are also trapped in the same castle. The actual crime is fairly straightforward once enough hints are dropped but what makes this book so lovely is that the character of Georgie is starting to grow past the rather clumsy young girl we are introduced to in the first book and on the way to being a confident and resourceful woman (Thus she is not repeating the same helpless behaviours of earlier but becoming an equal in her sleuthing activities with Darcy). And this is reflected in both her internal monologue and her relationships – her mother, Darcy and her new maid Queenie. ‘I actually listened to the Audiobook version of Wigs on the Green with the same front cover but there is no entry for that on Goodreads. The narrator for the version I listened to was Jenny Agutter (Sister Julienne from Call the Midwife) who was excellent on both this book and Dodie Smith’s I capture the Castle. I ended up giving this book a three star rating as I found it was both too light on in terms of characterization and story, and I found the facism very disconcerting. This is despite knowing that the character of Eugenia was based on Mitford’s sister Unity and having read quite a bit about the context from which she was writing. Probably the former of my complaints significantly feeds into the latter complaint as if the story hadn’t felt so underdone then I would have had less time to dwell on how deluded Eugenia was. ‘I found this memoir of Matthew Parker’s transition from junkie and convicted felon to clean and sober university graduate very compelling. I think in part this was because it is told in a very matter of fact way. The narrative flicks back and forth between the past and the relatively near present of Parker’s life, the reader sees the clearly intelligent Parker making stupid decisions for a very long time in his past, interspersed with, the frankly, not completely likeable, present Parker’s decisions as a clean student to keep working towards his goals. As a graphic novel there were lots more words than usual and the illustration style is fairly basic but as I prefer more words rather than less this style suited me fine. Hmmm the star rating for this novel swings between a very low 3 stars to a 4 – 4.5 stars. There were sections of this novel that I became completely emersed in and raced through, but there were other parts that both irritated me and dragged me out of the story. Sarah Waters ‘The Paying Guests’ centres around a slowly decaying house on Champion Hill where Frances Wray and her mother take in a married couple as boarders to attempt to stem their steadily growing debts. The arrival of the couple Leonard and Lillian Barber sets in motion a chain of events which change the lives of all of the occupants of the Champion Hill house. Waters creates a cast of fascinating and complex characters against a richly layered world that especially in the last half of the novel captures and emerses the reader. At its heart this novel is both a romance and a crime drama. The crime drama thread is fascinating with its step by step movement through a murder investigation in 1920s London and builds a tension which drives the story forward. It is the romance for me that was frankly irritating, and not because it was implausible or badly written, it is in fact the opposite, but for me I was just bored by the dramatic and selfish way the romance played out (to put this in context I have no patience for Wuthering Heights). And this meant that there is a significant chunk of the middle of the book where my reading slowed down, though ultimately I was glad that I pushed through to the more crime drama heavy second half. My movie and tv series watching has definitely dropped down but not as much as it appears below I am just struggling to remember to write everything down – I really need a Goodreads for movies and tv shows as it is now habit to immediately pull up the goodreads app once I have finished a book but not the same habit with tv and dvds. I really enjoyed this film and was surprised by how good the performances were. I am now (Feb 2015) reading The Bletchley Girls to get more of an idea of the actual history of Bletchley Park in World War II. This film has become more interesting to me post-watching where I read some of the articles talking about reaction and discussion of the film. In some ways I feel like I watched a completely different film to what others saw and I am still pondering how this works. As the last week of January was my writers group retreat I also watched a number of Jane Austen adaptions (Persuasion, Emma, Mansfield Park) and some mostly Science Fiction films (Guardians of the Galaxy, Galaxy Quest, Sherlock Holmes X2 (Robert Downey Jr). I am also pretty sure I rewatched of Dr Blake season 1 as Season 3 starts on the 13th Feb.
As part of my 2015 Culture Goals (see my previous post if this is a bit mystifying) I would like to complete 12 of the Book Riot Read Harder Challenges for 2015. I am not sure why I decided on 12 – I was probably thinking something along the lines of one per month. That said I haven’t really looked that closely at the challenges so I thought I might write out the ones I would like to do and then I can compare at the end of the year what I actually did (and perhaps venture which books in my TBR might work with this as I am hoping to be able to draw the titles from the TBR rather than find new titles). I am actually already three quarters of the way through this anthology so it is pushing a little to claim it as a 2015 completion but so far I have really enjoyed this SF collection and I am interested to see what the last quarter of short stories are. 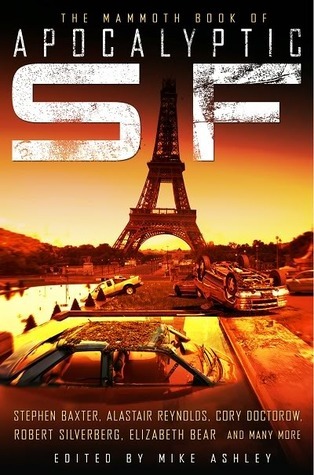 I have a theory that I much prefer SF in short story form and fantasy in novella/novel form. Not much more really needs to be said beyond Margo Lanagan. She is probably my favourite short story writer and her short story Singing my sister down is my all time favourite short story ever. So really it is a little embarrassing that I haven’t read this collection yet. 2. A book that is written by someone whose gender is different to your own. Both of these are on my tbr and keep getting recommended to me or buzzed about in various places so I must complete one of these in 2015 (and they both helpfully fit into a book riot category). Is on my kindle and I have been meaning to read it for ages. – As I have an audible subscription this will not be difficult at all but let’s just say Royal Blood by Rhys Bowen which is the fourth book in The Royal Spyness Series. This story is a light and fluffy crime series about the rather sweet if naive Lady Georgiana in the pre-world war II upper class British society. Perfectly suited for listening to when I am doing data entry or exercise and need to occupy some but not all of my brain. 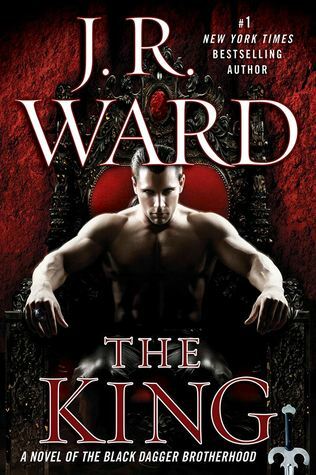 – The King by JR Ward. The Black Dagger Brotherhood still qualifies as romance….. I think….. it is definitely a guilty pleasure series for me so if I decide against romance I can switch this to the guilty pleasure challenge. Again I am already part way through this book but I started several years ago so imagine I will have to start at the beginning again. And then I can watch the tv series – finally. So I have technically completed this challenge with Superzelda by Tiziana Lo Porto but I want to use this title for my personal graphic novel challenge so I will hopefully read The Key by Junichiro Tanizaki. Which is a very slender volume from the Vintage Red Cover range. I have so already completed this Challenge! 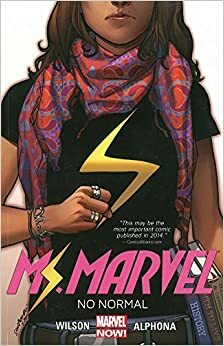 Ms Marvel Volume 1 by G Willow Wilson. Thank you Book Riot Quarterly #5. I really enjoyed Ms Marvel – it was a nice fast paced read with an absorbing story. And I like Kamala Khan she is so easy to relate to. I am hoping to read more of this series. – Prudence by Gail Carriger. The beginnings of a new series following the daughter of the heroine of the Parasol Protectorate, Alexia. I am hoping for lots of appearances of Lord Akeldama and lots of adventures. (Not yet actually on my tbr pile as it hasn’t been released yet but lets be honest I know that I will buying this so may as well accept it and make it work for me). – The Swan Book by Alexis Wright. This book was shortlisted for the Stella prize in 2014 and I really want to read it. (I don’t actually own this yet but it has been on my radar enough of late that I can see it being a purchase that slips through). 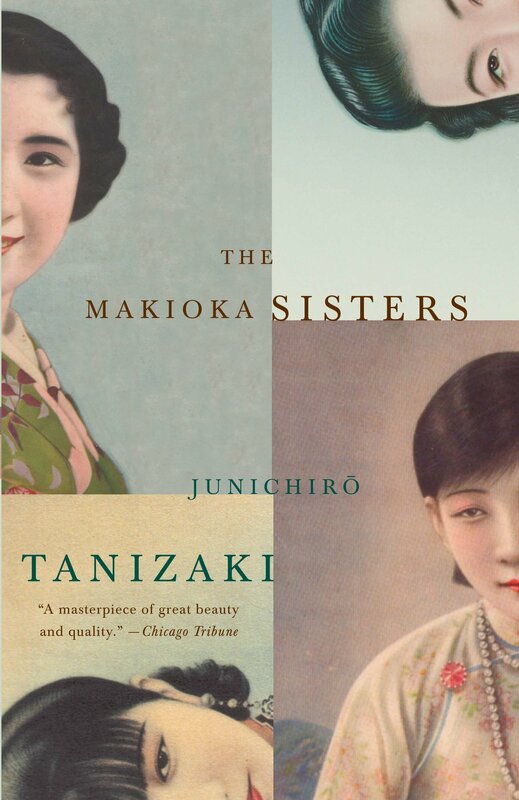 – The Makioka Sisters by Junichiro Tanizaki. Languishing on my tbr pile since late 2013/early 2014 this book really needs to be read. And then I can watch the review videos I have seen on booktube. (Also only on pulling this book off the tbr did I discover that it was written by the same authro as The Key). 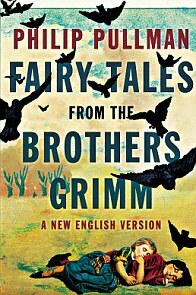 – Fairy Tales from the Brothers Grimm by Phillip Pullman. So I think technically these are a new translation not a retelling so I may need to rethink this at some point. I will be really interested to see how many of these titles will get completed in 2015 as I have found prescribing myself things to read has a high tendency to backfire. Though this does feel a little like an exercise for re-invigorating love for the titles in my tbr. So who else is aiming to complete some of the 2015 Book Riot Read Harder Challenges? And which ones with what books?